Who can resist two favorite comfort foods combined into one? This recipe pairs cheesy goodness of macaroni and cheese with the onions, tomatoes, and spiced ground beef of a pot of beef chili. The result is the ideal meal to keep you warm on a chilly night. For the sauce, I used a Mexican cheese blend that consists of Monterey jack, cheddar, asadero, and queso quesadilla cheeses, but a sauce made with just cheddar cheese would work just as well in this recipe. The chili mixture is mild in terms of the spice level, so heat seekers might want to add in some crushed red pepper flakes or a diced jalapeño. I’d also recommend using a large skillet to cook the beef and vegetables. That way, you can also use it to bake the macaroni and save yourself from dirtying one more dish. Score! Just before it goes in the oven, top the macaroni with buttery, spiced breadcrumbs and bake until golden and bubbling. The sizzling cheese will work better than any dinner bell to bring friends and family to the table. Updated October 26, 2018 : We spiffed up this post a little to make it sparkle! No changes to the recipe. I used a Mexican cheese blend with Monterey jack, cheddar, asadero, and queso quesadilla cheeses. 1 Heat the oven to 400°F. 2 Cook the pasta: Bring a large pot of salted water to a boil, and cook the pasta until al dente. Drain, rinse with cold water, and set aside. 3 Make the chili: Heat the oil in a large (12-inch) oven-safe skillet over medium heat. Add the onions and cook until softened, 2 to 3 minutes. Add the tomatoes and cook until they have broken down slightly and some of the liquid has evaporated, 3 to 5 minutes more. Add the ground beef, black pepper, 1 tablespoon chili powder, and 1 tablespoon salt to the onion-tomato mixture. Cook, breaking up the ground beef with a wooden spoon, until brown and fully cooked, 5 to 8 minutes. Remove from heat. 4 Make the cheese sauce: Melt 2 tablespoons of butter in a saucepan over medium heat. Add the flour and cook, stirring occasionally, until bubbly and slightly golden, 1 to 2 minutes. Once all the milk is added, bring to a simmer. Whisk frequently and scrape along the bottom of the pan, so it doesn't burn. Cook until the sauce has thickened slightly and seems creamy, 10 to 15 minutes. Remove from the heat, and add the shredded cheese and mustard. Stir until the cheese has melted. Taste and add salt and pepper as needed. 6 Top with toasted breadcrumbs: Melt the 2 tablespoons of butter and mix with the breadcrumbs, 1/2 teaspoon chili powder, and 1/4 teaspoon salt. Sprinkle evenly over top the chili mac and cheese. 7 Bake the mac and cheese: Place the chili mac and cheese in the oven and bake until golden on top and the cheese sauce is bubbling, about 20 minutes. Leftovers can be kept refrigerated for about a week. Reheat individual portions in the microwave, or larger amounts in a low oven. 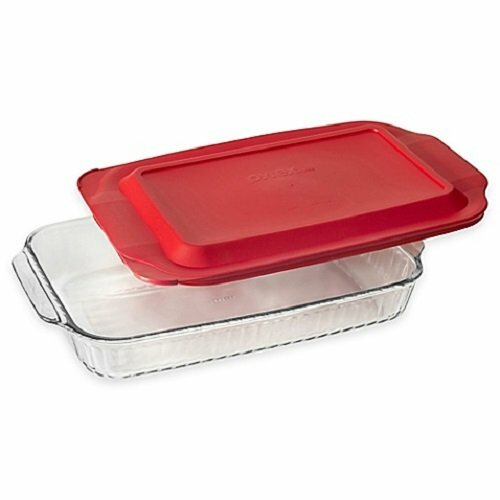 Leftovers can also be frozen in individual portions for up to 3 months; reheat in the microwave or in a low oven. Hello! All photos and content are copyright protected. Please do not use our photos without prior written permission. If you wish to republish this recipe, please rewrite the recipe in your own unique words and link back to Chili Mac and Cheese on Simply Recipes. Thank you! Hi, Kim! We haven’t tried almond milk ourselves, but I believe it should work. Just be sure to use an unsweetened variety. Was good but 1 tablespoon chili powder is madness. I did half and that was quite spicy. I’d like to think I have a medium tolerance of chilli. Hi ip, chili powder in the US is rather mild, it’s a combination of dried powdered hot chilies and other spices. So check your chili powder. If it is only made with chilis, then yes, please scale it back for any recipe calling for chili powder. Kid approved! Great dish for a chilly fall day. We quadrupled this and served it for our community lunch. It is really, really tasty just as is. It got rave reviews from the neighbors, and some folks asked for the recipe. When this happens I always refer them to Simply Recipes. The recipe was made in advance and refrigerated, so we cooked it a little longer than advised. This put it just at cusp of being dry, so someone making it might want to watch out for that. We used pepperjack and cheddar cheeses. Are the breadcrumbs the crispy prepared kind? Or made from bread? Thanks! Hi, Beth! You can use either for this recipe, though the crispy prepared kind will give you a crispier topping! We prefer using panko. Enjoy! Please don`t use pre- shredded cheese it is coated with basically a sawdust anti- caking agent,not good. Take the time to grate your own cheese your food will taste better and be more healthful. Can you make this ahead of time and freeze unbaked in preparation of company coming in a month so I don’t have to spend time in the kitchen instead of with family. Hi, Roxanne! Emma here, managing editor for Simply Recipes. Yes, this I think this unbaked casserole should be fine frozen and cooked later. Cook in a 350F oven until bubbly and warmed through. Good luck! Made this last night. It was a big hit! My family really liked this. Delicious! O.M.G. I normally don’t comment on recipes BEFORE I make them, but WOW! I wish I had this in front of me right now! I will be making this week and will report back with the results! Thank you – I was just thinking today about how I need a recipe for chili mac!